LA Times Festival of Books Party: Come on Over! 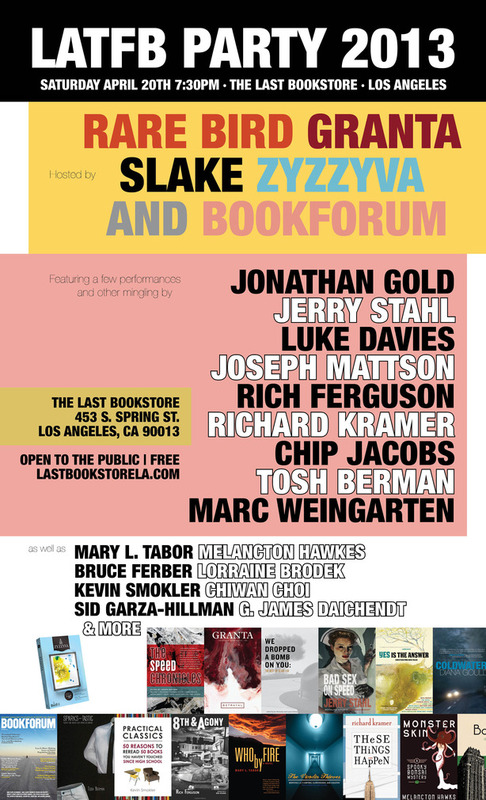 Starting Saturday April 20 with a party at a terrific bookstore with some great folks. In Los Angeles? Come on over. I'll be there and would love to meet you. I'll be signing books from 2:00 to 2:30.